Amazing artwork is quite something. 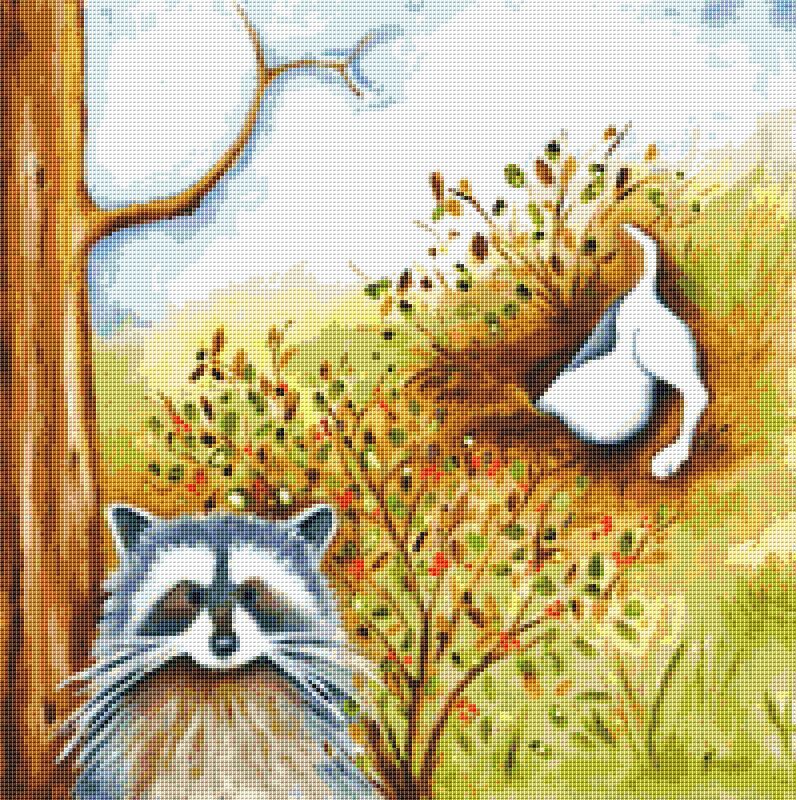 Here is another full of whimsy from Deb Harvey. She is a very talented artist who paints so much color into her pieces. This piece is called Silly Dog. This piece has 91 colors and is 199×200 stitches in size. You’ll love the amazing details, but also you’ll like the ease of which this piece stitches along. The colors seem to flow together and the fades are ever so gentle. You’ll find this piece very forgiving and comfortable to stitch.